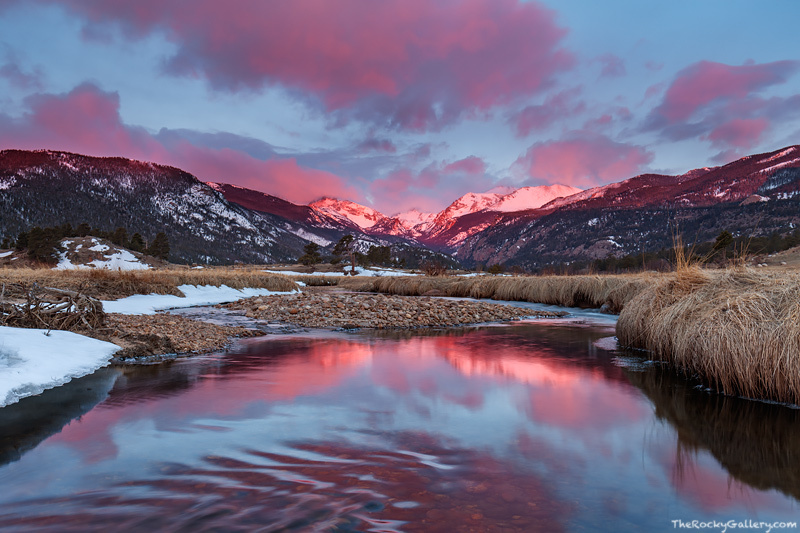 After a long winter, spring is finally starting to show signs of life as the conditions in Rocky Mountain National Park transition from winter. The Big Thompson river is finally free of snow as it flows through Moraine Park. Clouds drift over the continental divide and Stones Peak as the sun illuminates and warms the mountains peaks still covered with winter snow. Photo © copyright by Thomas Mangan.